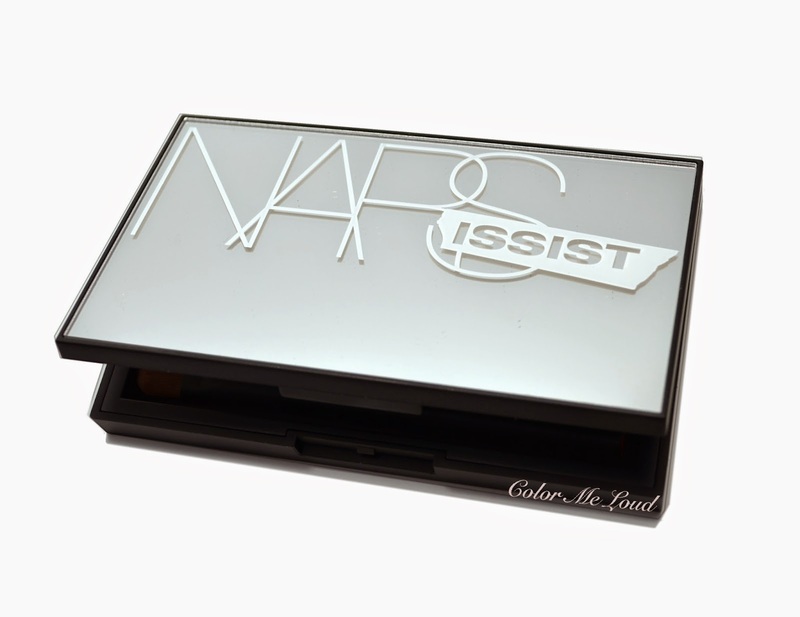 Nars Dual-Intensity Eye Shadows were one of the products that caused lots of buzz in 2014. These arrived to Europe quiet late. I have ordered then a few sight-unseen. As expected I went for the purples and plums, Desdemona, Phoebe and Callisto. I have reviewed two of them here. For a single eye shadow which comes rather expensive, I was not very convinced of the highly frosty/metallic finish. As a single I wouldn't use it. I ended up buying no more colors and the ones I have gotten moved unloved to the bottom of my drawer. After I have seen that eight shades are being released in an eye shadow palette I considered to give it all a second go. I was lucky that none of the singles I have were in the palette as well, another thing which convinced me to pull the trigger. Is it love? Is it like? Me and metallics how do we get along? First things first, I really like the packaging. The plastic is sturdy and the the lid is covered with a mirror. It does pick up some finger prints but I appreciate that it is not the rubbery gummy lid like other Nars palettes. Inside the lid there is another mirror as well. Both of the mirrors are not really made of glass so although the packaging looks elegant, it is not too heavy. The compact has a click opening but it is not hard to open/close. Nars Dual-Intensity Eyeshadow Palette comes with a synthetic brush #49, called Wet/Dry Eyeshadow Brush and can be purchased separately for $28 (although this one is said to be mini, I believe it is just the handle). I can already tell you that the eye shadow brush works wonderfully with this formula. I am so frustrated with all the brushes which come inside palettes and never work, so this was a great surprise. 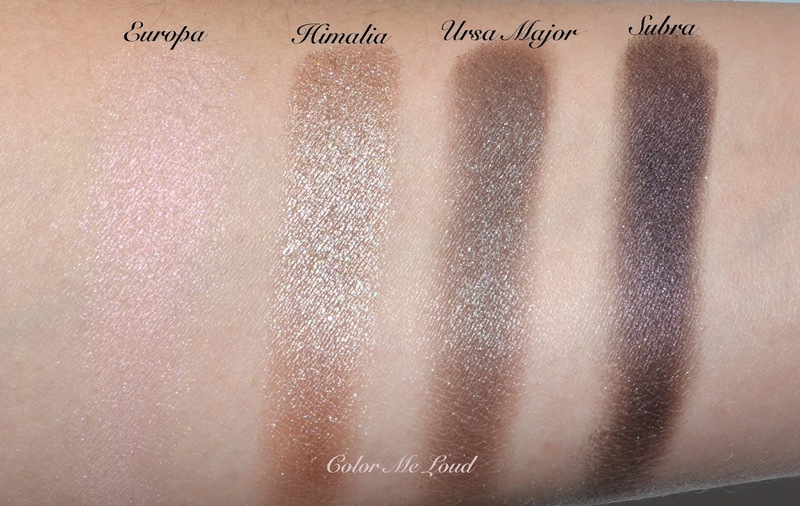 Aside from Ursa Major all of the shades here are in the permanent range. Usually a single comes with 1.5 g of product. In the palette each eye shadow is 1 g. All of the shades can be used wet and dry. Some swatch great once dry but I like using them wet most. Even after using them wet, the surface doesn't harden and can be used dry next time, thumbs up for this. Europa is a light cool pink with subtle duo chrome shimmer and satin to shimmery finish. It is great for an everyday look all over the lid. Himalia is a mid-toned bronze taupe with metallic finish. It is one of the frosty ones and I like it most once applied over a deeper shade. Ursa Major is a mid toned cool brown with satin to shimmery finish. The finish of this one is close to Europa and it is great to deepen the crease in a natural look. Subra is a very deep aubergine with shimmery finish. Subra is more shimmery than Europa and Ursa Major. I like using it on the crease or all over the lid for a smoky eye. Andromeda is a very pale shimmery neutral pink. It is almost white, I like it mostly on the inner corner of the eyes. Lysithea is a mid-toned metallic neutral silver. I like that it is not too cool for me to pull off. Still I am a little reluctant to use it on an extended area because I fear that finish and color may not be the most flattering for me. Giove is a deep neutral blue with metallic finish. I like Lysithea and Subra both as a base and apply them all over the lid before layering some of the lighter shades on top. Sycorax is a very deep black with satin finish. It can be used as a liner or a definition shade, great to have it in there. One thing I really appreciate with this palette is the versatility. 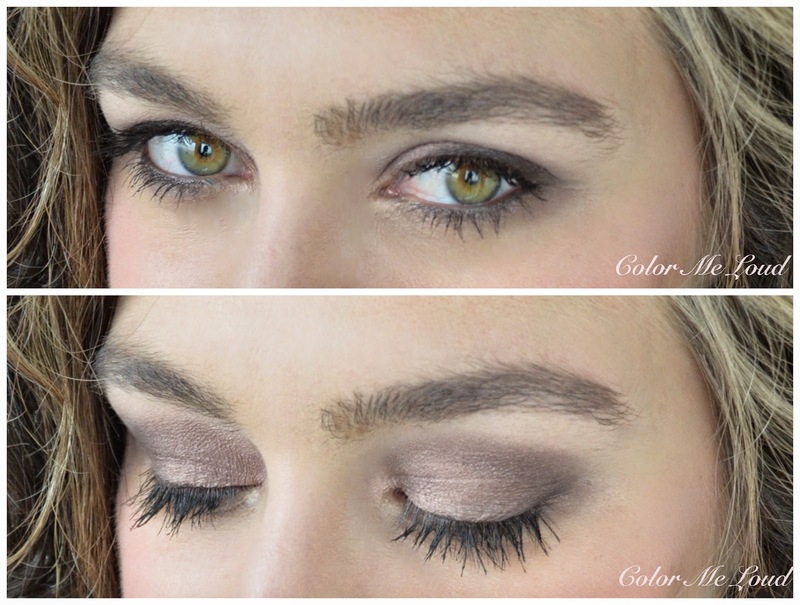 Although it looks like metallic shades over kill, it is easy to go for a subtle day look (up) or a metallic smokey look (down). For the neutral look (up) I have used Europa all over the lid, mixed a little Andromeda on the inner corner and defined the crease with Subra. For an intenser look, I applied Giove all over the lid and blended over the crease with Ursa Major. then I added Himalia in the middle of the lid. I used all of the shadows wet and with the brush provided. To make the brush damp, I have sprayed some MAC Fix + on it from a distance. You have seen this look on my last post about Laura Mercier Paint Wash Lip Colors, hence for this FOTD I am wearing Rosewood from that range. 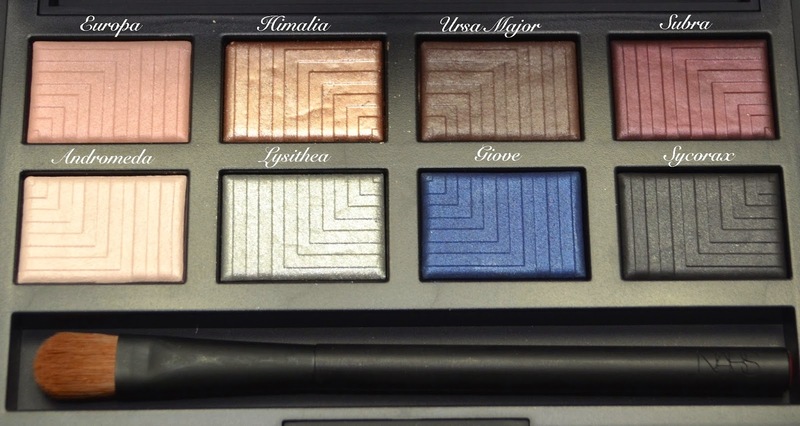 My favorite way to use Nars Dual-Intensity Eyeshadow Palette is to layer shades. I especially like the lighter shades padded wet on the deeper shades. 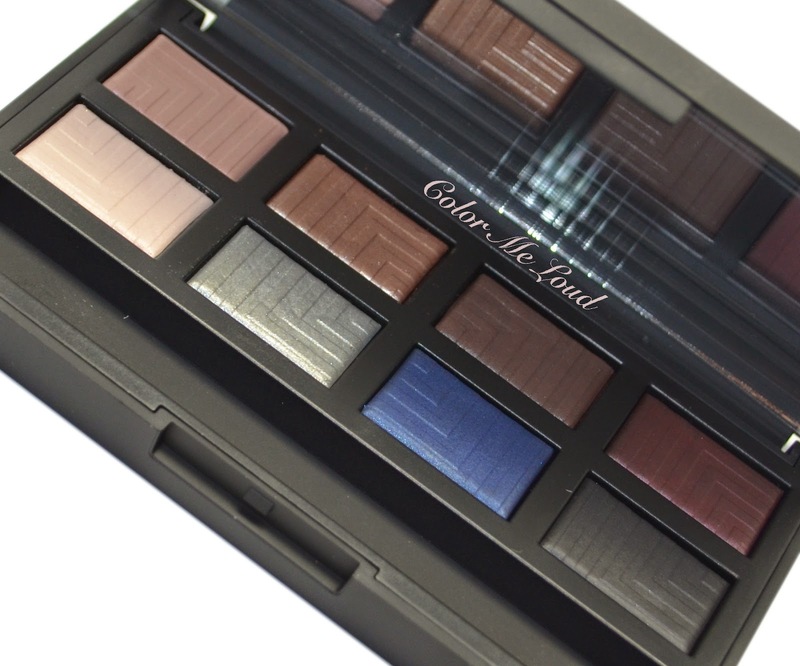 There are not many edgy palettes for spring and this is definitely one which is not to miss. Unless you own at least three/four of the shades. Although my singles never received the love they deserved, I am trying hard not to use this palette every single day. I am hooked! That is because these shades make sense all together and they are especially pretty once layered. I am too lazy to open up a handful of singles to create a look in the morning. I also thing that singles are shades which have to work great on their own. I think Dual Intensity Eye Shadows are better in a palette than they are as singles. Does that make sense? Final thoughts: Love love love. I love the packaging, consistency and versatility. The shades layer beautifully and the surface stays usable after wet application. The pattern doesn't wear off easily. Even the provided brush is useful! Although the shades are not full sizes (1 g instead of 1.5g) it is a great deal. 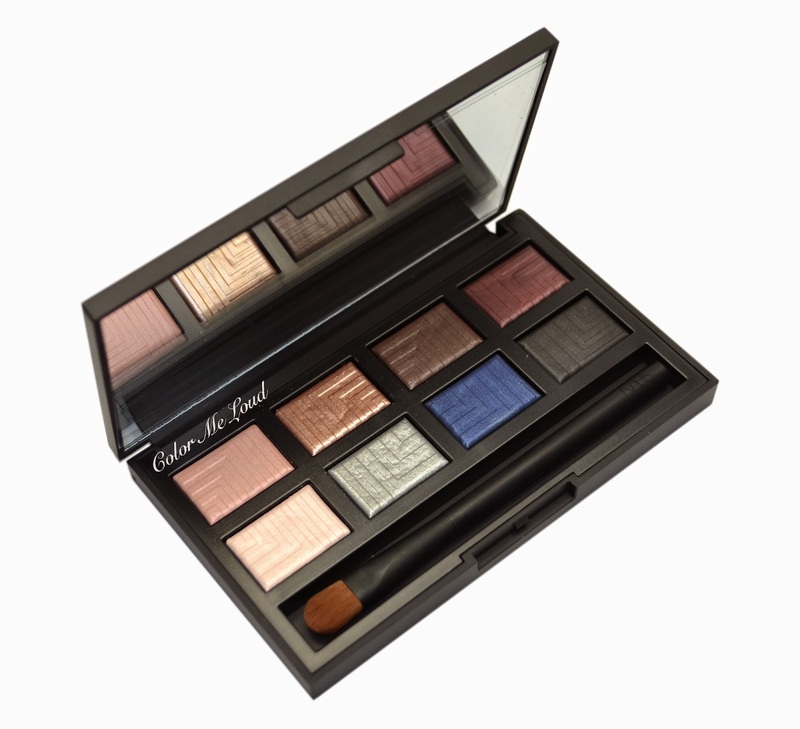 If you get one palette this spring, make it this one! Availability: Nars Dual-Intensity Eyeshadow Palette was available in the states through brands web store since January, where I purchased mine. It will be available in Sephora from 1st of February. As for Europe, it was available shortly on nars.eu but Ingrid reported that there are over 500 orders they couldn't process and she is waiting for hers over a week. Let's hope for the best. My instincts tell me that Sephora.fr might get it as well. How do you feel about Nars Dual-Intensity Eye Shadows? Are you getting this palette? Hey Sara! Great review as always! I really, really, really like this palette. I only have a single in Phoebe and boy, am I SO glad it's not included in the palette! 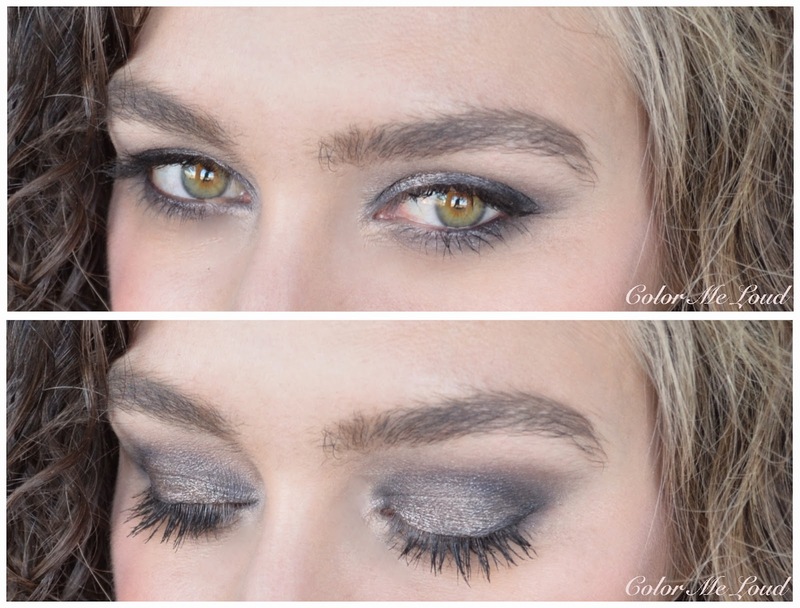 I love shimmery and metallic textures so these shadows are right up my alley! I also like the color selection here and can see myself using every single shade. OK, I should stop. I know I am getting this palette. LOL! Love the darker look you came up with!!! Ooooh such a lovely surprise to be reading this post and my name pop up! Thanks gorgeous! I really really want my palette now I've read your review, it's a more colourful option for spring as you mention but you also created some more neutral looks too! I hope I receive mine soon, Stacey from Expatmakeupaddict paid express shipping from Nars.co.uk and she hasn't received anything either! Crazy! Great review!! I have skipped this palette because I already have Himalia (works perfectly as a one-shade look for me, LOVE), Desdemona and Subra. The shadows all work well together too, and because I so love the effect I don't mind opening the single pans. I cannot see myself using any of the cool toned frosty shades in the rest of the palette and I never use black shadow so I skipped. I really like the looks you've made though!! Hey Sara, thanks for the detailed review! I was eyeing this one, but like Bella, I wouldn't reach for the second row much at all. Now that I've seen it, I might get Himalaya and Ursa Major tho! Love the looks you came up with! 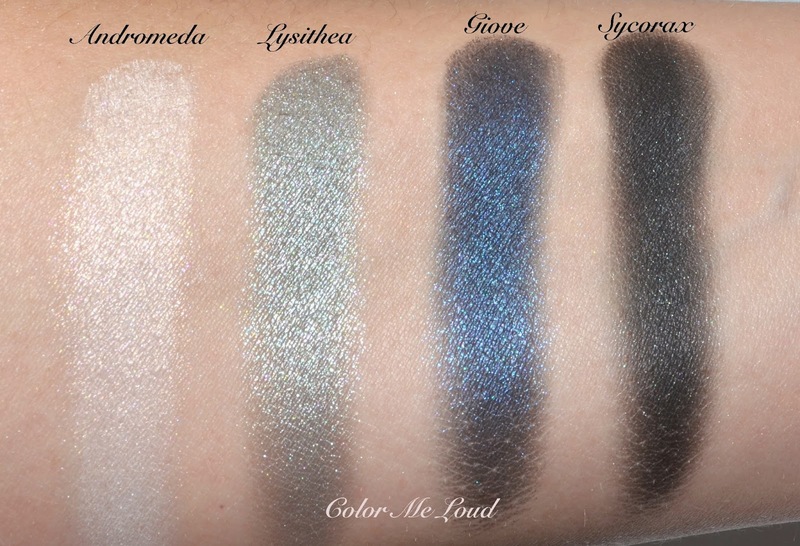 I probably would've considered this palette if I didn't already have so many darker shades that I'm never going to be able to use up, and didn't already own Himalia and Lysithea leaving my lusting for only two of the remaining shades - Ursa Major and Subra. I do however think the eyeshadows are amazing, and very easy to use both wet and dry. Wow, this palette is much more wearable than I initially thought it would be. I go back and forth with this one! These sound a lot nicer than my first taste of the NARS DI shadows, but the cooler blue undertones in that bottom row isn't doing much for me! I really love the way they packaged it though.... I'm still conflicted haha! You know what?! I'm so upset they came up with this palette so much later after they released the singles over here!!! After blowing $$$ on quite a few of the singles (which as with all singles go into that madhouse drawer I never open) they come out with a handy palette with the same shades! But, i'm so happy that you're loving this formula at last! I did like it quite a bit the first time, but now i'm just angry aka petty. LOL!!! My passion for astronomy and my love of makeup came together in this amazing palette. I should add it to my collection :). Bin ja gerade ein bisschen verliebt, auch wenn mir matte Farben fehlen. 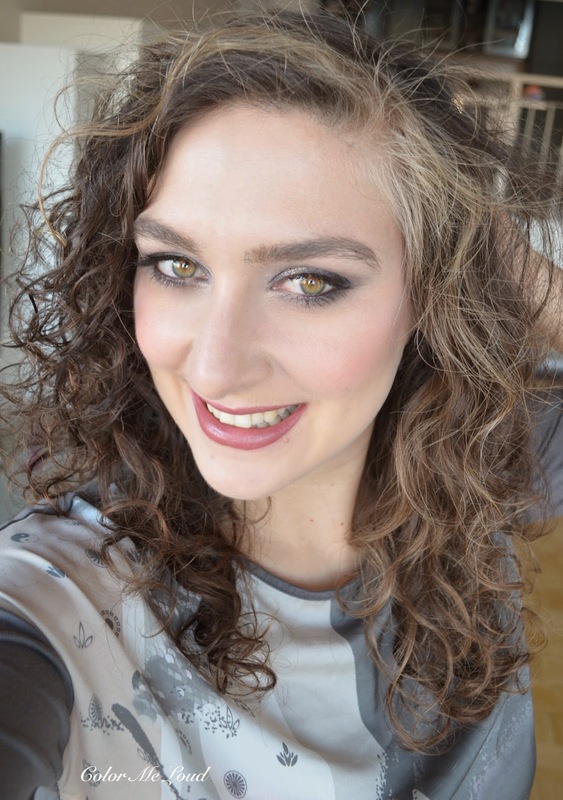 Deine beiden Looks gefallen mir auch sehr :) Toller Blog, folge dir gleich mal! I love this palette. Like you, I think the lighter colours look amazing applied over the darker shades. It's incredible how I have been converted to wearing more than two shades on my lids, through this palette! Love the looks you created here. Wow, such beautiful eye looks you've created with this palette! It makes it very tempting for me. I have Himalia and I love it! GOOD LAWD. This is why I love visiting your blog, Sara! I always get a high seeing you review new covetable products I'm eyeing!! :) Subra, Ursa Major and Giove are my favorites based on swatches. The second look you did is OUT OF THIS GALAXY! LOL. Just had to! The names of these tug my astronomic heartstrings :) And the third FOTD.. just stunning!